Towers, European Court of Justice, Kirchberg, Luxembourg. Bitcoin could see a shake-up within the European Union. 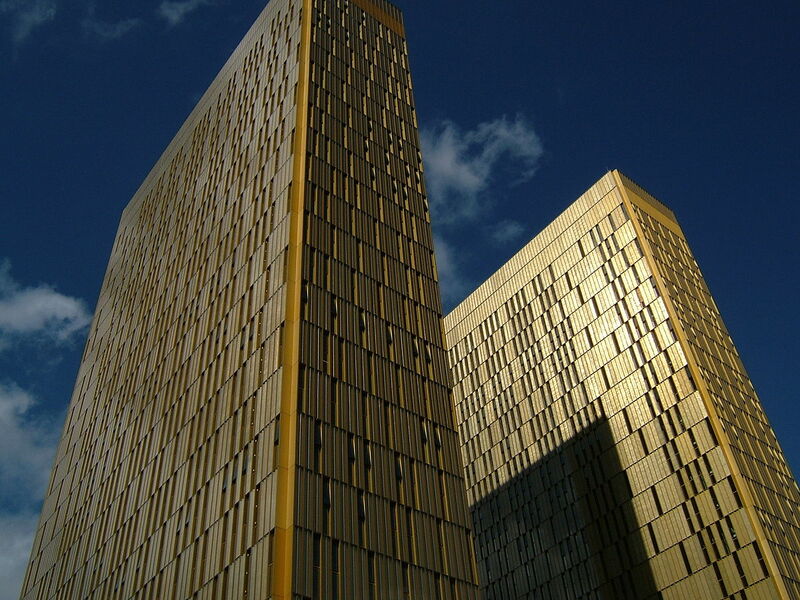 The European Court of Justice, the union’s highest court, is set to rule on Thursday, October 22, on the value-added tax (VAT) status of Bitcoin, according to Business Insider. This will bring a close to a case that started in Sweden, when David Hedqvist’s decision to open a Bitcoin exchange prompted clarifications on tax implications of the cryptocurrency. Ruling could apply VAT on Bitcoin Exchanges – In this case, customers would face a tax on the purchase of Bitcoins, thus hurting the competitiveness of European exchanges. The fear is that consumers would turn to exchanges outside of Europe that don’t have these regulations in place. Ruling could exempt Bitcoin from VAT – In the most beneficial outcome to Bitcoin proponents, the court could determine the digital currency to be a “pure payment system.” This would put Bitcoin on the same level as fiat currencies. According to Reuters, the legal advisor to the European Court of Justice recommended that Bitcoin be exempted from VAT. This was stated earlier this summer, and oftentimes the court follows recommendations. While this brought optimism from the Bitcoin community, this case highlights the struggle for Bitcoin to gain acceptance as a widespread currency. Currently, there is no general consensus on how Bitcoin and its trading should be treated. The United States has declared Bitcoin transactions taxable as capital gains. Australia has ruled transactions as liable to its tax goods and services. The United Kingdom has declared Bitcoin exempt from VAT. The court’s decision could affect how other nations treat Bitcoin in the future, particularly those that haven’t made such rulings.